Find the wire decking pallet rack you need for your unique warehouse and corporate storage space. At Storage Solutions, we offer five different types of wire decking, ranging from 36” to 48” and in both regular and flared designs. For over 40 years, Storage Solutions has been the source you need for the result you want. 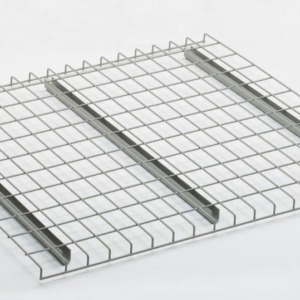 Our expertise makes us one of the top suppliers of wire decking pallet racks. No matter the size of your space or project, we’re here to get the job done right and improve your workspace.